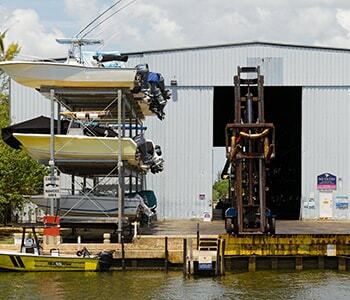 Indoor storage is excellent for boat owners seeking protection for their investment. An indoor boat storage system has temperature and humidity at pre-set levels. This prevents freezing and moisture accumulating on your boat. 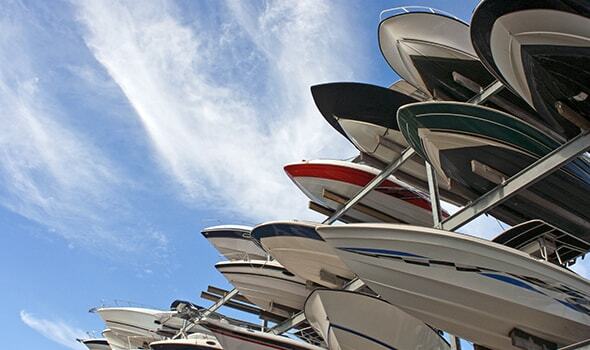 It is important to choose a reliable boat storage warehouse in Redlands, CA for the safety of your vehicle. Water or acids that enter your oil can cause engine corrosion. Make sure that you change the filter before adding the new oil. Drain out the existing coolant before flushing with water. Top it up with fresh antifreeze but ensure that you have diluted it as per the specifications. This will protect engine parts from freezing and will prevent corrosion. Make your engine turn over without starting it. Then while it is turning over, you should spray fogging oil through the spark plug holes or into the carburetor according to the boat’s manual. This will offer protection to the moving parts of the engine from the winter cold. Your drive belts may get damaged from being under tension for extended periods. Loosen or remove the drive belts entirely prior to storing your boat. If you grease the steering and control systems, it will ensure that they work smoothly when you use your boat. It is a good idea to cover the joints properly with grease. Do not let your battery drain out and die during the winter months. You should disconnect the battery and fill it with distilled water. Also, you need to charge it sometimes to ensure that it is up and running when re-hooked to your boat. An empty tank can encourage condensation build up. This can cause the tank to corrode or worse damage if the moisture in the tank freezes. You should use a gasoline stabilizer to ensure that your fuel is alright for use in spring. Specific inboard powered boats contain big exhaust port openings which can enable pests to enter the engine. You can utilize duct tape to seal these openings. If there are electronics on your boat, remove them. These are susceptible to extreme temperatures and moisture. Organic material such as canvas, leather, or fabric should be taken out. Moisture can lead to mold and mildew on such fabrics. You must empty the water tanks. A boat cover offers protection to your boat from dust, dirt, grime, and moisture. Covers ensure that your boat is as ready it can be when warmer weather comes around. Give your boat a thorough cleaning to finish the season. Close inspection of your boat will let you assess any damage that may have happened this season so that you are not surprised later. Wash and wax the exterior of your boat after your last outing for the summer. Take out cushions and other items which could be damp and lead to mildew. Clean these items as required, and put them in storage outside the boat. Give the interior carpets and floors a thorough cleaning. 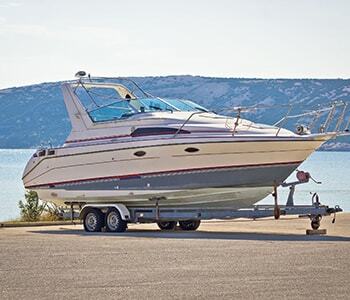 Utilize a marine protectant particular to boat vinyl to protect the upholstery. Make sure that your bilge spaces are oil-free and clean. Routinely maintained boats last longer. At the end of the summer, include the following steps in your routine maintenance. Adequately support the hull when storing it indoors to avoid physical cracking or misalignment of the engine. Assess all electronics, and get new ones if needed. Use grease on all bearings, and protect any exposed metal parts using an anti-corrosion spray. Change the boat’s oil two times in a year—when you store it, and when you take it out. Use well-constructed, ventilated canvas to cover the boat. It is essential to protect the waterline from grime and dust, even indoors. Make sure you find a good boat storage warehouse in Redlands CA for safe and dependable storage of your vehicle.